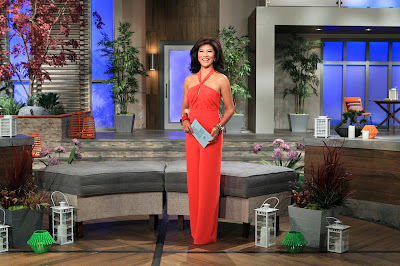 The Big Brother Insider: Tonights the Night! Tonight is the BIG Night, the start of summer begins at 9/8c on CBS!!! I have been lazy and haven't updated the blog on everything new like I should (Which is why you should follow me on Twitter, Cause I always update there). So here is what you missed if you have been in a coma or been away from the computer for the last few days. Big Brother Buddy App Leaks Screen Caps! There was a feed leak a few nights ago from Big Brother Buddy App (Available on Android/iOS devices) and it confirmed that Dan, Boogie, & Janelle are in the house. Now we never saw Brittney's Face (Like we did with the other 3) but its 99.9% Positive she is in the house. You can check out all the leaked screen cap pictures on the BBB Facebook page. CBS Makes us think...Eviction Tonight? Today CBS posted some photos of a first look at tonight's episode (You can view those photos on our Facebook Page) However, the caption on the photo below is "Julie Chen about to interview the 1st Houseguest evicted from BIG BROTHER." Big Brother 5 winner Drew Daniel was arrested in Urbana, OH on July 2nd for domestic violence. He reportedly attacked/punched a man in the ribs and caused him problems breathing. Daniels was tased by the deputy on the scene.